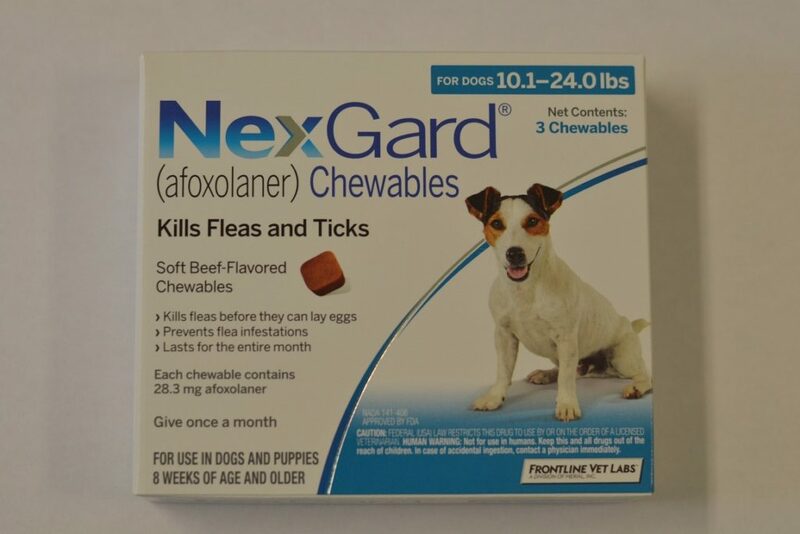 Nexgard is a flea and tick preventive made by Merial. It is a soft beef-flavored chewable containing afoxolaner, a new compound developed by DuPont. Nexgard lasts for one month. Nexgard makes an excellent complement to Heartgard Plus. A dog on both products is protected against fleas, ticks, and heartworms.